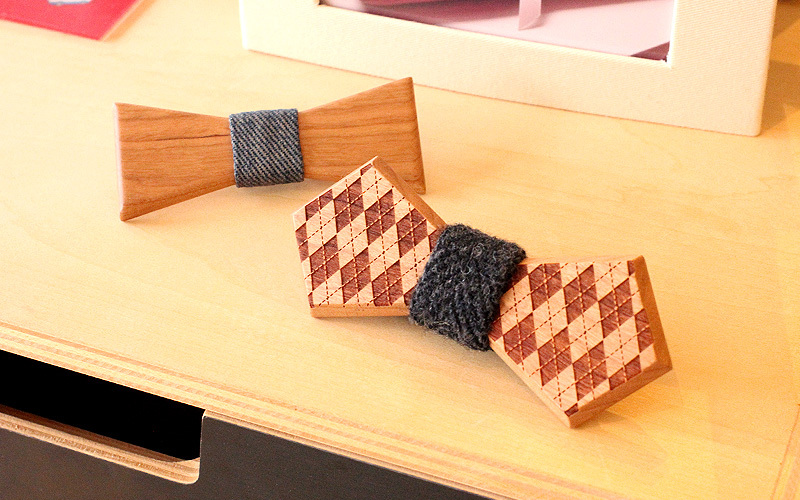 These two types of bow tie with unique texture is made of real wood. 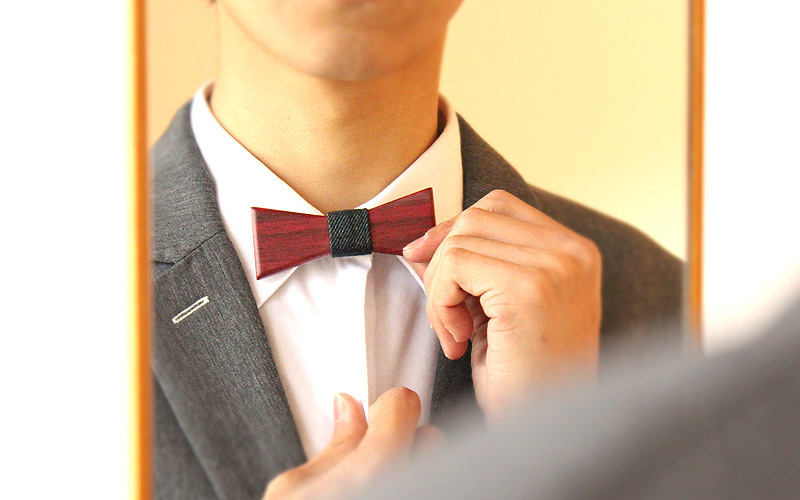 "Lily" with sophisticated look has pattern engraved and "Sally" with beautiful wood grain can be put on with a safety pin. 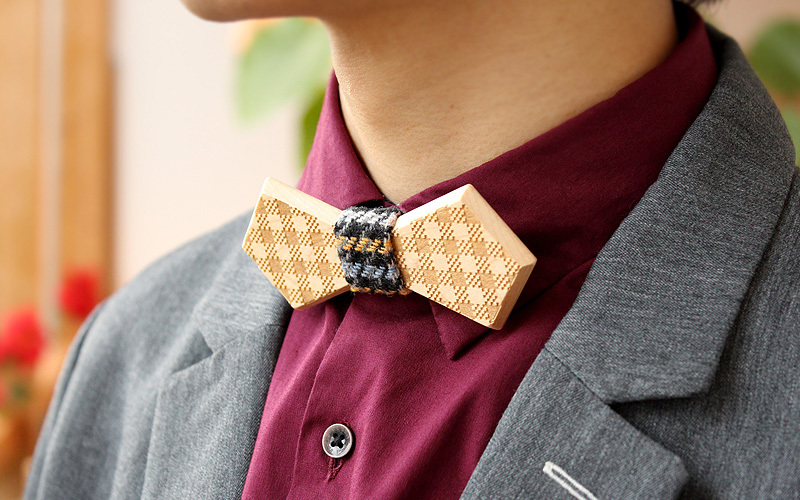 Not only it can be a cutting edge twist on formal occasion but it will dress up the casual outfit. Available in 5 natural colors of wood.